The team at Quality Water Services is fascinated by all things aquatic—that’s why we provide residents of Lincoln and Omaha with the best quality drinking water possible through water softener and reverse osmosis system installation. The only thing we love as much as providing clean, delicious drinking water to Nebraskan families is sharing interesting information to keep individuals both up-to-date and interested in the state of the world’s fresh water. To welcome December in true QWS fashion, we’re talking winter water facts this week. From the fun and funny to the strange and unexpected, you’ll find it all here! Lots of snow can come from just a little bit of water. What would be a single inch of rain in the summertime can amount to 10 inches of snow during the winter! Some cities have resorted to using warm water to combat snow buildup. New York City has 36 of these snow melters which, after warming snow to its melting point, filter the resulting water for debris before pumping it into a sewer which then leads to a treatment plant. Regular-sized snow melters can process up to 60 tons of snow in an hour, and the mega-sized versions can process up to 137 tons in the same amount of time. Cities without snow melters (as well as some which have the machinery) sometimes just dump excess snow in the ocean or rivers to dispose of it—a practice which has caused concern from environmentalists. Because snow often picks up additional materials after it hits the ground, dumping it directly into waterways without treatment can mean introducing tons of hazardous chemicals to U.S. water systems. Salting roads to melt snow is commonplace in American cities. A report from Vox from 2015 about road salt practices in the U.S. found that we put approximately 10 times more salt on roads than we do on processed foods. That’s a ton of snow melt—a few million tons, in fact! 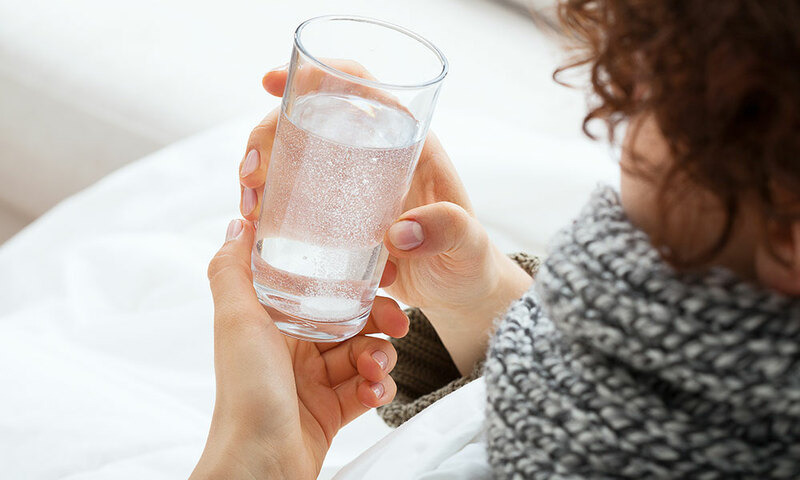 When it’s cold outside, your body actually needs more water to maintain its temperature. The largest snowflake ever recorded fell in Fort Keogh, Montana, in January 1887. It’s no wonder the Guinness Book of World Records title still holds—the flakes were 15 inches in diameter! The average snowflake falls at a rate of approximately 3 mph. Thanks for keeping up with the Quality Water Services blog, your home for all things aquatic! If you’re looking to enhance the quality of the water in your home, call our offices today to talk about the system that’s right for you.